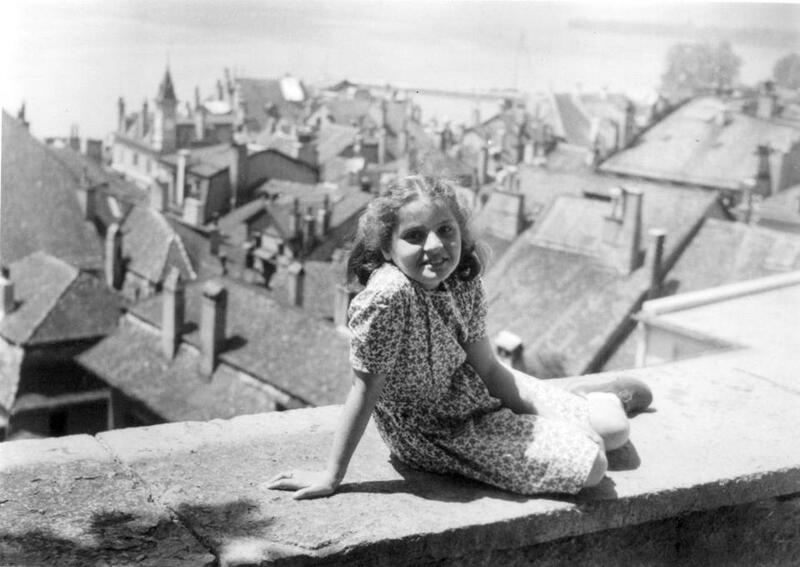 Madeleine Albright shown at age 10 in Switzerland. Little Madlenka, age 6, wanted to be a priest when she grew up — which “for a young Catholic girl was certainly a sign of ambition,” notes Madeleine Albright wrily in her engaging new book. 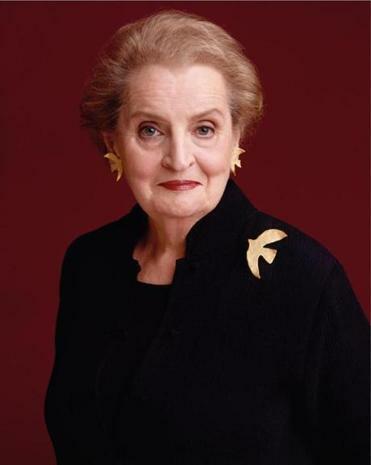 Albright, the nation’s first woman secretary of state, published a bestselling autobiography, “Madam Secretary,” soon after her term ended, and three more books since then. Now comes “Prague Winter,” focusing on the years during and after World War II. Madlenka (her official name was Marie Jana) was born in Prague in 1937, but spent most of her childhood in Belgrade and London with her family who fled the German onslaught in 1939. Albright devoted a chapter to those European years in “Madam Secretary’’; here, she expands them to book length, weaving her family’s history with that of the land they left behind. Czechoslovakia, which came into being as an independent nation after World War I, spelled trouble for Europe almost from the start, since several ethnic minorities vied for recognition within its borders. Among the most troublesome were the Sudeten Germans in the northwest, whose presence gave Hitler the excuse to demand their annexation to Germany in the Munich conference of September 1938, and to occupy the whole country a few months later. After the Nazi invasion of March 1939, the democratically elected Czech government moved to London, where Albright’s father, Josef Korbel, a close collaborator of President Eduard Benes and Foreign Minister Jan Masaryk, was put in charge of producing radio programs for broadcast to Prague. After the war, the family returned to Prague, and he was named ambassador to Belgrade, where he had already spent a few years in the 1930s as press attaché of the Czech legation. In 1948, the Communist Party took over Czechoslovakia, around the same time that communists came to power across Eastern Europe. The Korbels were able to leave and find asylum in the United States, where Josef, a staunch anti-Communist, became a professor of history, and his daughter became (eventually) Madeleine Albright. Albright recounts this history well, and does a particularly good job explaining the diplomatic stakes involved in the Munich negotiations, as well as in the later negotiations that Benes undertook both with Washington and Moscow as he tried to obtain the best postwar position for his small country. Since her father was so closely involved with Czechoslovakia’s foreign affairs at that time, it is understandable why Albright chose to tell the public history along with the family story. The transitions are not always smooth, however, and the former often crowds out the latter. The early chapters, covering the history of the Czech people from the Middle Ages to 1939, are not easily yoked to accounts of Josef’s hometown and youth. Later, a paragraph about Madeleine’s memories of the air-raid shelter where her family took nightly refuge during the London blitz almost gets buried under pages about the bravery of the Czech squadrons that fought with the British against the Luftwaffe. The reader may feel, at times, that there is not enough of the personal or of remembrance in this book, despite the promise of its subtitle. Madeleine was too young during those years to remember much of them. But the question is less one of memory than of introspection. Albright is terrific at analyzing diplomatic options and historical dilemmas, but somewhat shortwinded when it comes to probing the complex motivations and emotions that accompany individual life experiences. She writes in the beginning that her central theme is “why we make the choices we do.” But she succeeds better at explaining Benes’s choice to court both Roosevelt and Stalin in 1943 than at exploring the reasons for her parents’ conversion to Catholicism in 1941, or why they never told her about their Jewish background, even after they had reached the safety of the United States. This is of course a painful topic for Albright, especially as her family’s past became a subject of public scrutiny and gossip just as she started her term as secretary, threatening to overshadow her significant achievements. She explained in “Madam Secretary’’ that she would not speculate on, much less judge, her beloved parents’ decisions. Yet, one cannot help but wish for deeper probing. She devotes two compelling chapters to the concentration camp at Terezin, where more than 20 members of her family, including three grandparents, were sent in 1942; they all died there, or in Auschwitz and other sites of extermination. Albright clearly feels pain and outrage at her family’s fate, as well as the fate of all the Jews who perished. Characteristically, however, she swerves away from the subject by inserting a discussion of diplomatic history between the two chapters on Terezin. It may be this ability to bracket off the most painful aspects of the past that allowed her to achieve her impressive career, just as a similar ability seems to have allowed her parents to leave behind their past as persecuted Jews to make a new life for themselves and their children. Such a way of coping, familiar to immigrants everywhere, may not produce great literature, for that thrives on introspection and the exploration of personal suffering; but it can produce a highly successful life, and Madeleine Albright’s sprightly narrative shows how. Susan Rubin Suleiman, a professor of French and comparative literature at Harvard, is the author of “Crises of Memory and the Second World War,’’ among other books. She can be reached at suleiman@fas.harvard.edu.